Beauty Fires offer a fresh approach to our national pastime the humble braai. 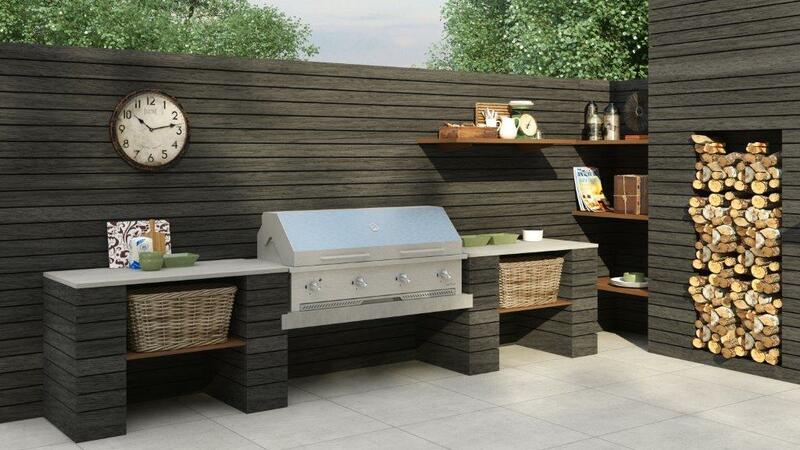 Our combination gas and wood braai provide home chefs with the ultimate cooking weapon to impress their guests. The combo gas and wood braai is available in various sizes (1200, 1400, 1600 and 1800 and 2000). Our standard finish is 304 stainless steel but we offer the braai in 316 stainless steel for extra protection against corrosion. 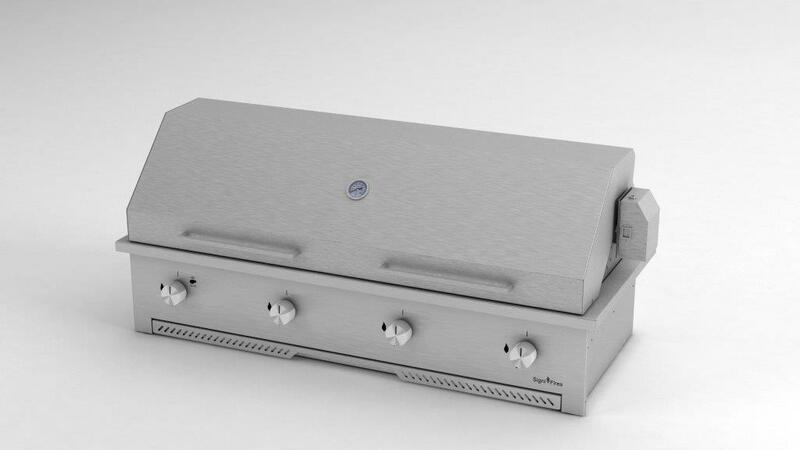 The Griller in the combo braai comes standard with self-ignition knobs and burner and does not require any electrical connection. Please note that the gas braai must be installed by a registered (LPGAS) installer. 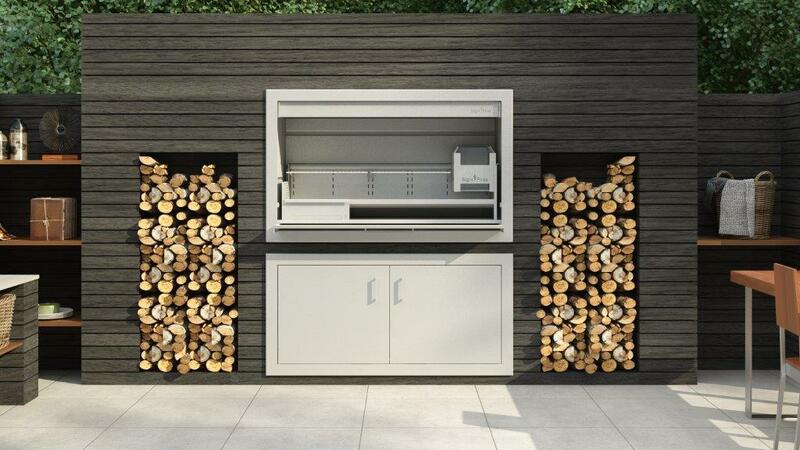 The wood inserts and combination wood & gas braais comes standard with a large sliding door that folds neatly underneath the braai and doubles as a functional work surface. When the door is closed it gives the braai a luxurious aesthetic. Optional frame and doors are available for below the braai. First choose your braai body size and grade of stainless steel and then choose the size of your gas braai section and your wood braai section. 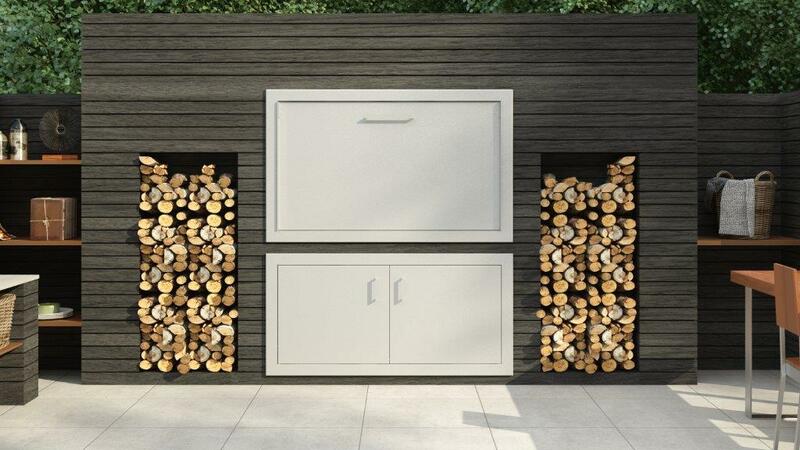 The gas Griller section sizes are 390, 590, 770 and 970 and the wood sections are 770, 970, 1170 and 1370.
and is the ultimate addition to your kitchen or outdoor entertainment area and very easy to install. 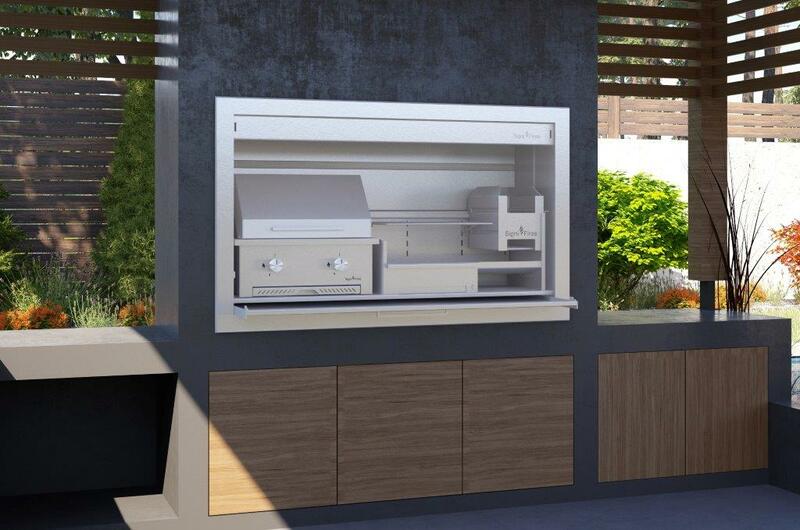 It has a sear burner which is a ceramic burner that emits much higher, instant temperatures and is the first braai in South Africa to feature this type of feature. The ceramic sear burner is perfect for grilling steaks and other meats where caramelization is required on the outside whilst keeping the inside moist and juicy. 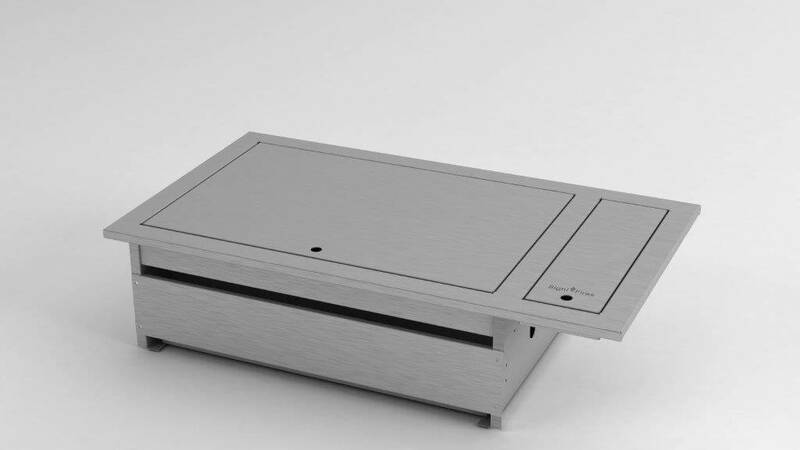 The 770mm drop in braai features two U-burners, the 950mm has 1 x ceramic sear burner and 2 x U-burners, the 1150 has 1 x ceramic sear burner and 2 x U-burners and the 1350 has 1 x ceramic sear burner and 3 x U-burners. A “U” burner is equivalent to two standard straight line burners most commonly used by braai manufacturers. 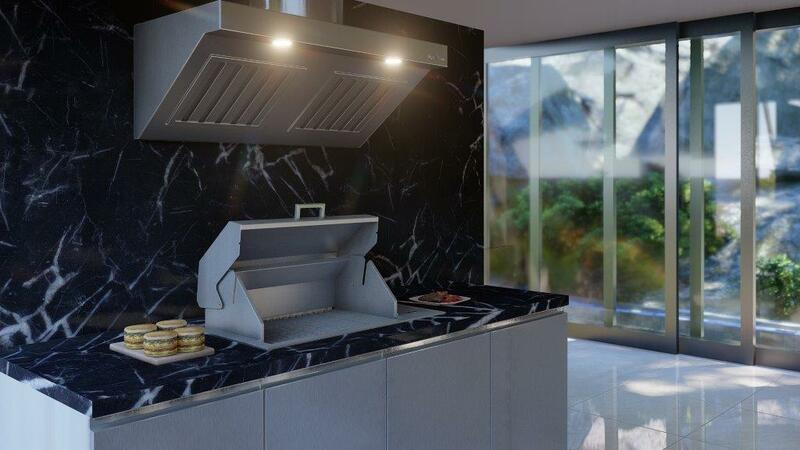 Optional cooker hood, rotisserie or motorized extraction system available. Sear burner supplied with sizes from 950mm upwards only. Converting your wood braai to a clean and neat gas braai has never been easier. 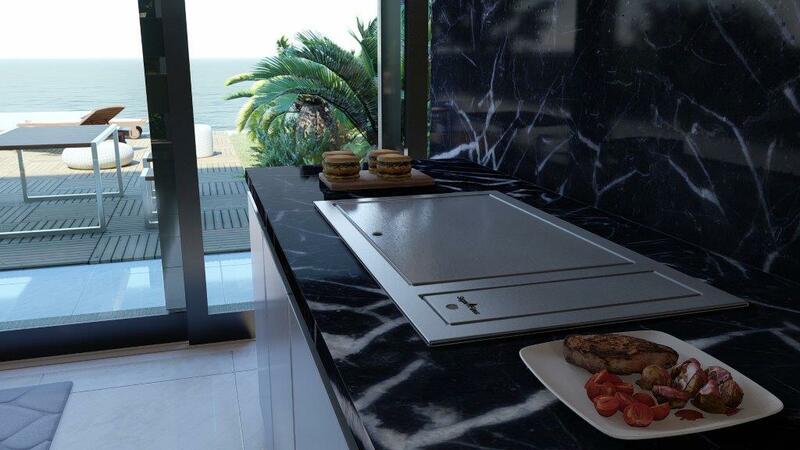 The gas Griller braai can either fit into your existing braai or be used as a freestanding braai on a work surface. The sear burner is a ceramic burner that emits much higher, instant temperatures. 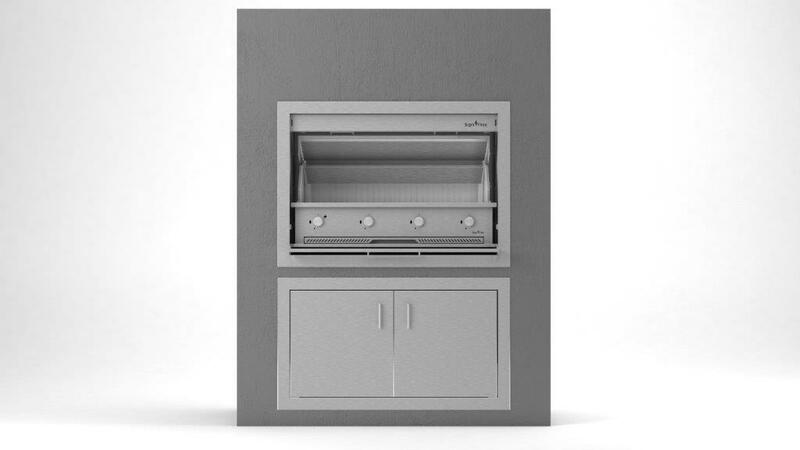 It is the first braai in South Africa to feature this type of burner. The ceramic sear burner is perfect for grilling steaks and other meats where caramelization is required on the outside whilst keeping the inside moist and juicy. Sear burner supplied with sizes from 770mm upwards only.